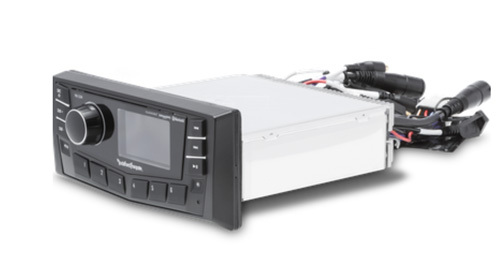 The RMX-0 is a ground up designed ultra compact digital media receiver ideal for small systems and vehicles. 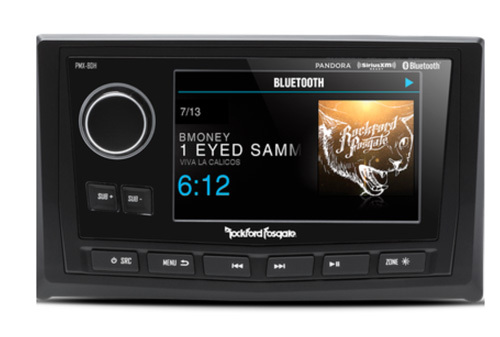 This unit Features Bluetooth streaming audio connectivity for both Apple and Android based devices, RCA Auxiliary inputs as well as Front, Rear and Sub RCA output connections. Control is provided through the water resistant rotary encoder knob and white LED backlit buttons and provide instant sub level control at your fingertips. The front panel is IPX6 rated for water spray intrusion and features a conformal coated PCB circuit board protecting the vital electronics. We further validate the unit with 500 hours of testing under both the ASTM B117 and D4329 testing standards to make sure it will hold up under years of daily use exposed to the elements. The RMX-2 features a 2.7"full color TFT display for optimum viewing - even in full sun - that is optically wet bonded to prevent any dust or moisture penetration. It is IPX6 rated and uses a water resistant rotary encoder knob with white LED button illumination and front mounted sub level controls. 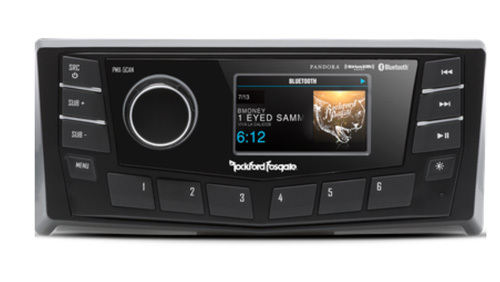 Additionally, with features such Pandora control capabilities and Bluetooth audio steaming with album art support for Apple and Android products, this unit becomes a true command center of any system. The RMX-5CAN features a 2.7"full color TFT display for optimum viewing - even in full sun - that is optically wet bonded to prevent any dust or moisture penetration. 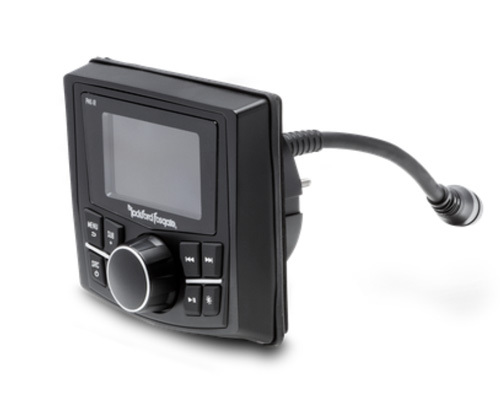 It is IPX6 rated and uses a water resistant rotary encoder knob with white LED button illumination and front mounted sub level controls. 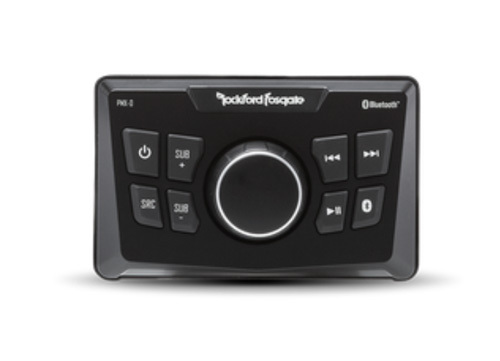 Additionally, with features such as SiriusXM and Pandora capabilities, Bluetooth audio steaming with album art support for Apple and Android products and true 2 zone/2 source control, this unit becomes a true command center of any system. 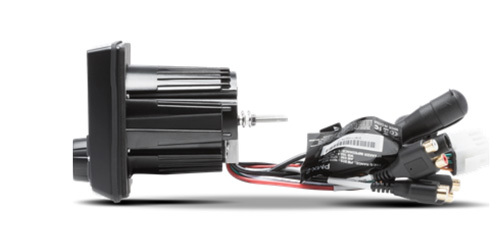 Output flexibility comes a 4x50W @ 2ohm internal amplifier or dual zone output RCA's allowing the addition of after-market amplifiers for more power and output. 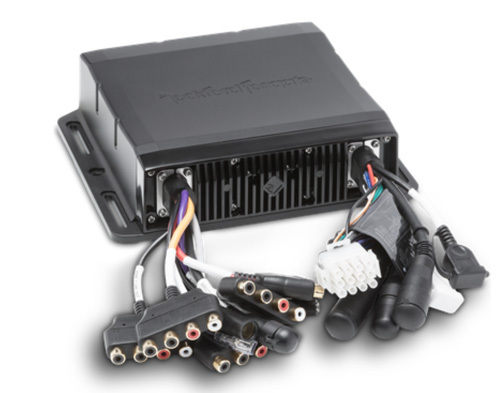 Add in the EEPROM memory system, custom GUI interface and wired remote expansion capabilities and you have the only media receiver you'll ever need. 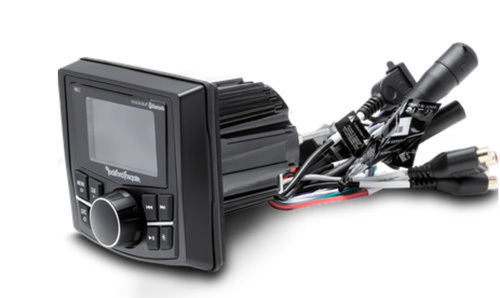 Also features CANbus functionality for connection to Raymarine MFD (Multi-Function Display) systems. 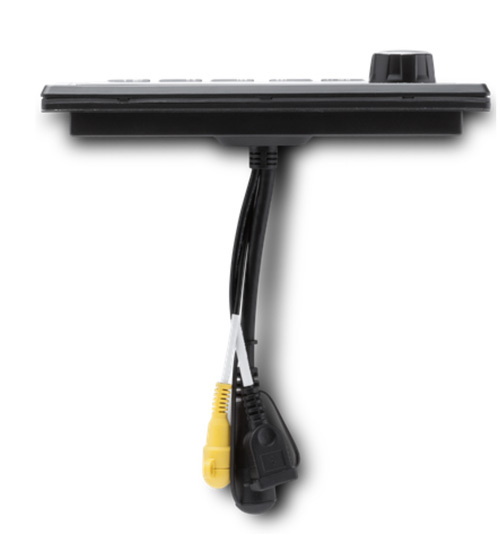 The RMX-8BB is a hide-away digital media receiver black box designed for use with the RMX-8DH controller. Designed for use with the RMX-8BB, the RMX-8DH full function wired display head is the ultimate controller for your digital media system. The unit features a ultra bright 5" TFT display designed and chosen for its viewing ability even in full sunlight. The screen is optically wet bonded to the bezel to prevent any dust or moisture penetration ensuring it stays clean and clear. Access to the Custom GUI interface is provided through the water resistant rotary encoder knob and white LED back-lit buttons allow you to easily adjust the illumination levels of the panel and provide instant sub level control at your fingertips. 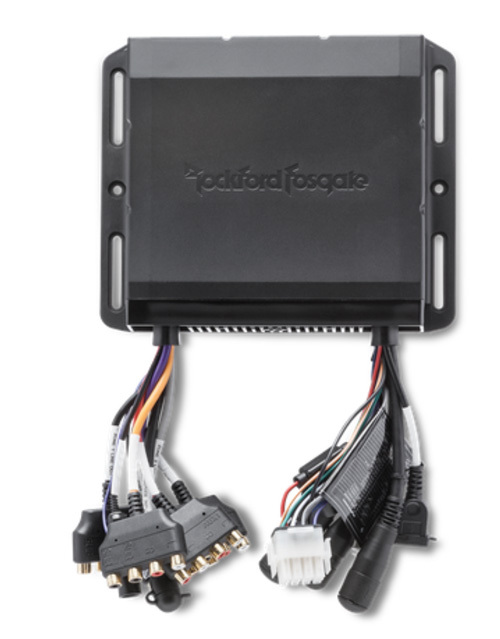 The display head also features a composite video input for video or camera systems and easy interconnection to the hide away unit with a multi-pin DIN connector. The panel is IPX6 rated for water spray intrusion and features a conformal coated PCB circuit board protecting the vital electronics. We further validate the unit with 500 hours of testing under both the ASTM B117 and D4329 testing standards to make sure it will hold up under years of daily use exposed to the elements. Wet Bonded Faceplate: An epoxy layer between display and cover glass eliminates air gap to improve visual clarity and preventing dust build-up.